The suboccipital muscles are a group of four muscles situated underneath the occipital bone. All the muscles in this group are innervated by the suboccipital nerve. 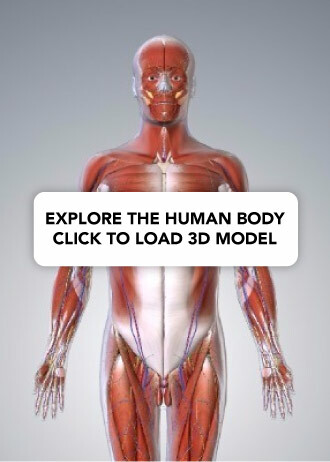 They are located within the suboccipital compartment of the neck; deep to the sternocleidomastoid, trapezius, splenius and semispinalis muscles. They collectively act to extend and rotate the head. In this article, we shall look at the anatomy of the suboccipital muscles – their attachments, actions and innervation. 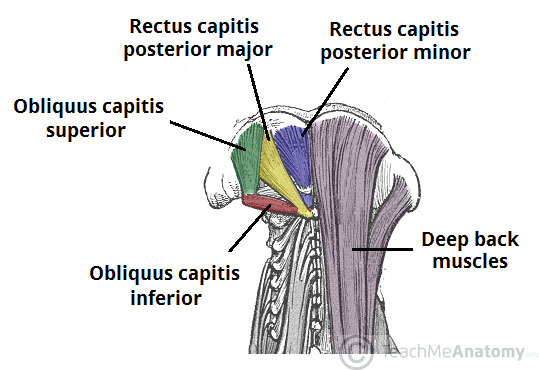 The rectus capitis posterior major is the larger of the rectus capitis muscles. It is located laterally to the rectus capitis posterior minor. Attachments: Originates from the spinous process of the C2 vertebrae (axis), and inserts into the lateral part of the inferior nuchal line of the occipital bone. Actions: Extension and rotation of the head. Innervation: Suboccipital nerve (posterior ramus of C1). The rectus capitis posterior minor is the most medial of the suboccipital muscles. There is a connective tissue bridge between this muscle and the dura mater (outer membrane of the meninges) – which may play a role in cervicogenic headaches. Attachments: Runs from the posterior tubercle (a rudimentary spinous process) of the C1 vertebra to the medial part of the inferior nuchal line of the occipital bone. Actions: Extension of the head. Fig 1 – The left occipital muscles, which lie underneath the deep muscles of the back. As its name suggests, the obliquus capitis inferior is the most inferiorly positioned of the suboccipital muscles. Additionally, it is the only capitis muscle that has no attachment to the cranium. Attachments: Originates from the spinous process of the C2 vertebra, and attaches into the transverse process of C1. The obliquus capitis superior is located laterally in the suboccipital compartment. Attachments: Originates from the transverse process of C1 and attaches into the occipital bone (between the superior and inferior nuchal lines). Fig 2 – The suboccipital triangle. It can be used to locate the vertebral artery, as shown on this illustration. The suboccipital nerve innervates all of the suboccipital muscles. From which nerve root does it arise? 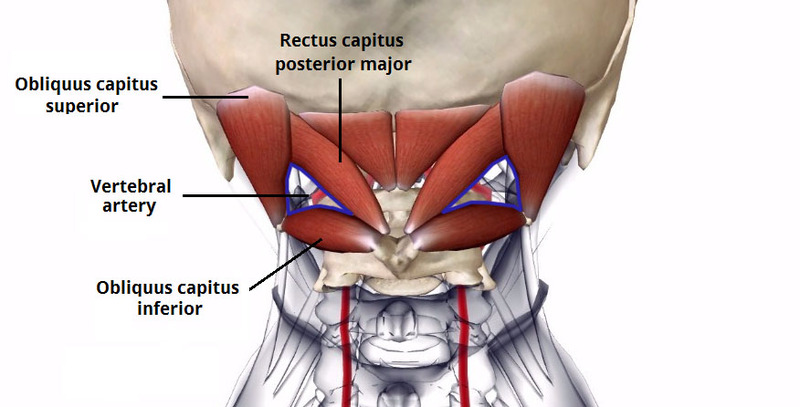 Which of the following best describes the function of rectus capitis posterior major? Which of the suboccipital muscles is the most medial?